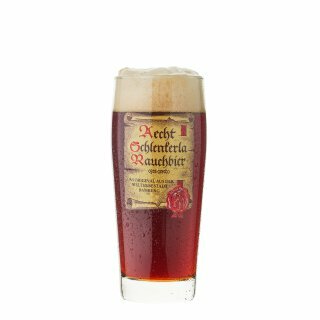 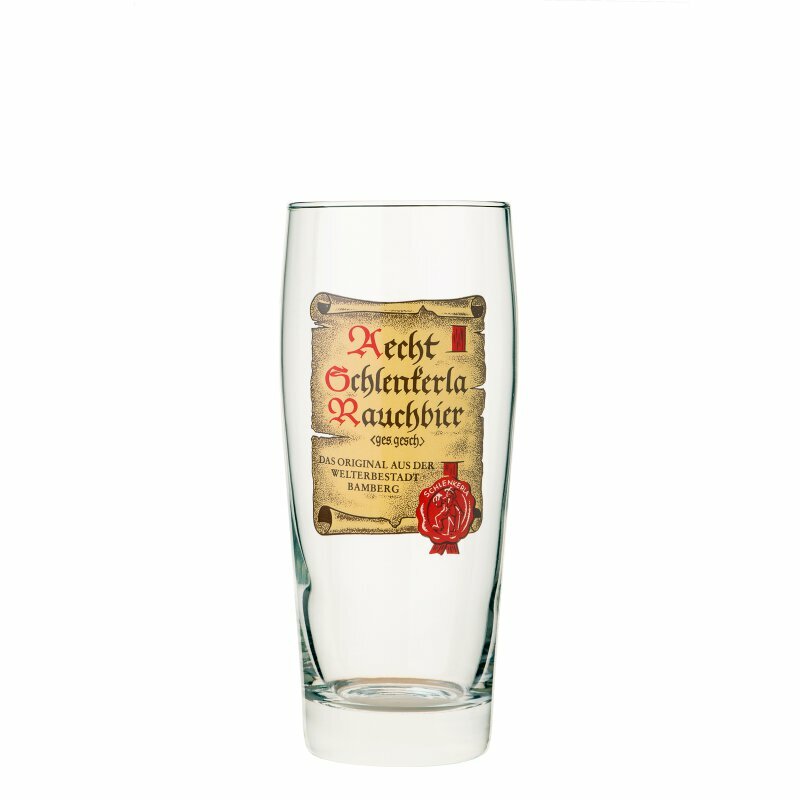 The Schlenkerla edition of the traditional beer glass from Franconia: 0,5 Ltr. 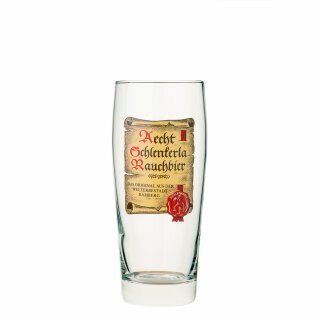 Willibecher with Schlenkerla design. 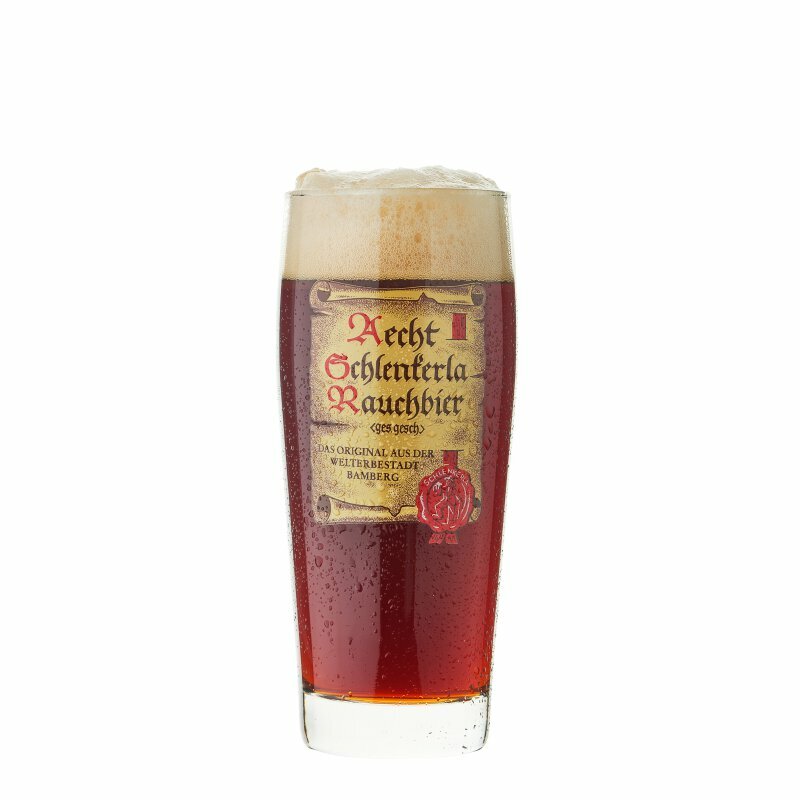 The half litre is named Seidla in Franconia.